"Windows Phone 7 will succeed in the mobile phone marketplace, but its success won't come overnight. "Microsoft has a potential hit on its hands," says IDC mobile analyst Ramon Llamas, who tracks the worldwide phone market. Llamas predicts that Redmond's new mobile operating system will "turn around Microsoft's mobile fortunes," provided the company markets the OS both aggressively and effectively." It seems like the floodgates are opening and analysts from all over are weighing in on whether or not the Windows Phone 7 platform will be a success for Microsoft. Jeff Bertolucci over at Yahoo! News has the quote listed above from PC World, with their qualified belief that Microsoft is going to enjoy some success, provided they market the product effectively. Meanwhile, Gartner has a different spin on things. As has been widely reported in the last day or two (see, for example, this InformationWeek post), they believe Microsoft will experience a short-lived increase in market share following the release, but will soon decline. So, it's your turn to be analyst. Do you think this new platform will be a success? How would you define success? A market share increase, holding of current market share, or even just general acceptance by the tech community? What do you believe are the critical steps Microsoft will have to take in the next 2-3 months to get out of the gate effectively and have any chance of success? In order for WP7 to be called a success the OS needs to grab at least 20% of the market Worldwide, not US only. The most critical step will be how soon MS will address Wp7 shortcomings; while it might be able to do it with the software ones the lack of removable storage is something that could fatally doom the project. Agreed, Microsoft had a perfect opportunity to copy all the good things about the iphone, and improve on them. I still do not understand why the bad things were copied as well. Android is where Microsoft should have been with the Windows Mobile platform 5 years ago. 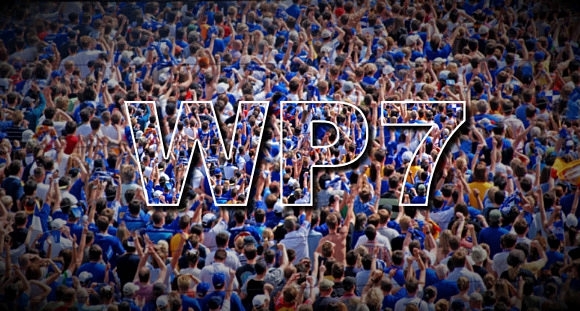 I also think WP7, at least in version 1, is not going to be a runaway success. Microsoft has made the same critical mistake many WM fans made when criticizing the iPhone, thinking it was just a pretty, simple interface that made it a success with consumers. The reality is that it was a combination of interface, apps and hardware that made the iPhone the success it is today. With MS brain dead decision to lock down storage, and their OEM partner's failure in most cases to even match the low end iPhone 4 in storage, why is someone on AT&T going to buy WP7 instead of an iPhone? Sure the interface looks great, but what can you do with it? Banking on an XBox 360 tie in for gaming is another poor move. Sure it's a nice thing to have, but the market of people who are going to select their mobile phone because of a tie-in to a home console has to be tiny. Phone and consoles are two completely different gaming platforms. I still fail to see what Microsoft and its partners are bringing to the table. What does the phone offer that the competition doesn't? If just having a pretty, usable OS was all that matters, we'd be talking about the Palm Pre3 right now and Palm would have all of Google's market share, but much like WP7, we saw somewhat crippled hardware (compared to Apple) with limited, non-expandable memory, a smaller screen, etc. People shop for these things and see they can get a 16 GB iPhone for $199 or a an 8 GB WM or Palm phone for the same $, why are they going to buy something other than the iPhone? At least Android allows us to bring our own memory, and some higher-end devices come with a 16 GB memory card included. In conclusion, yes WP7's interface looks great, unfortunately, it appears crippled by the same things that crippled previous versions of WM -- software limitations seemingly put in place for no reason and hardware vendor's refusal to release a "super phone" that meets all high end users wishes because they want to make us buy another model down the road. As a long time Sprint customer, I was really hoping to see Microsoft releasing a nice phone for me, but sadly, it is not to be. I wish they had invested more time into offering support for all of the major phone service providers in the USA right at the release. I doubt if I'll wait until next year for a new phone. Well, it's not going to fail. I have said in the past, and still believe Microsoft have made several bad decisions with this platform that have cost it valuable marketshare. I don't think I need to list them, they've all been listed many times. Microsoft will have to deal with many of them in future releases if they are going to make a permanent impression on the market. They can overcome these flaws early on if they spend the huge sums they are rumored to spend on marketing. They need to make everyone on the planet think that WP7 is the coolest phone ever. If they don't, it may not be pretty. Well, neither Apple, RIM, nor Android have 20% market share world-wide in smart phones according to gartner. So I think you've set the bar too high. I'd say that if WP7 in the first year can keep up with 1/2 the market share Android has, I'd consider it a success. Also, the lack of removeable storage hasn't hurt iPhone sales at all. It's a non-issue with normal users (which of course we're not.) Definitely it's one of the major issues preventing me from "upgrading" from WM6.5. But hey, I've said it before, why should I upgrade to WP7, when I can upgrade to the OS it's trying to copy (and doing a bad job at it) and get an iPhone? I think I see an Android based phone in my future, but for now I'll stick to my Touch Pro 2 running WM6.5 with Android Froyo running through Haret to keep up with what Android's up to. I agree that it'll probably bring in fewer people than they hope, but IMHO the emphasis in mobile games will definitely pay off in the long run. Remember, Xbox Live integration is the *only* major difference they can point to that WP7 has that NONE of the competitors have. None of the others have a link to another gaming based social platform. It's the only thing MS has got to differentiate themselves from Android and iOS, so I see them marketing the cr*p out of it. I hope MS obtains a decent market share due to WP7 since more competition is better for the overall health of the smartphone market... but it disappoints me that they're copying the proprietary, closed model that Apple has. Definitely, I'm going Android next phone upgrade... because it looks like there will be no app support for any WM6.x replacements, and I refuse to bow down to Apple's iOS and MS' WP7 locked-in proprietary model. It looks like it's the end of my PocketPC PDA then Smartphone run with MS... starting with the Philips Nino and most probably ending with the Touch Pro 2 with many devices in between... all running MS Mobile OS'. Last edited by BBF; 10-11-2010 at 08:10 PM.. The launch got my attention but after reading the specs on the phones I have to question the use of a mere 8GB of RAM, no SD card expansion, no HDMI port, and no front facing camera. To compete with the iPhone, they're going to have to fill their app store with tons of useful apps. Someone needs to produce accessories (CASES are my biggest gripe with the Pre Plus, especially for extended batteries), as well as extended battery options. As Apple and Android has proven, it's what you can DO with the phone that will cause people to want to buy it. The WP7 Marketplace is weak. There are no apps compelling enough in the marketplace right now to make me want or need a WP7 device at the moment. If the list of apps improves, we may have a contender, but until that happens, I just don't see it happening. "...And miles to go before I sleep.."
Last edited by Torque; 10-15-2010 at 09:12 PM..